Use Coupon Code: LOVETOUR for our flash sale discount! We're so excited to bring the first HUGE pop up experience museum to North County San Diego! A non traditional pop up museum featuring an array of PICTURE PERFECT exhibits that will inspire you to live, laugh, & love. Your trip at the Museum of What LOVE TOUR will delight you with all our fabulous exhibits all inspired by love and happiness. 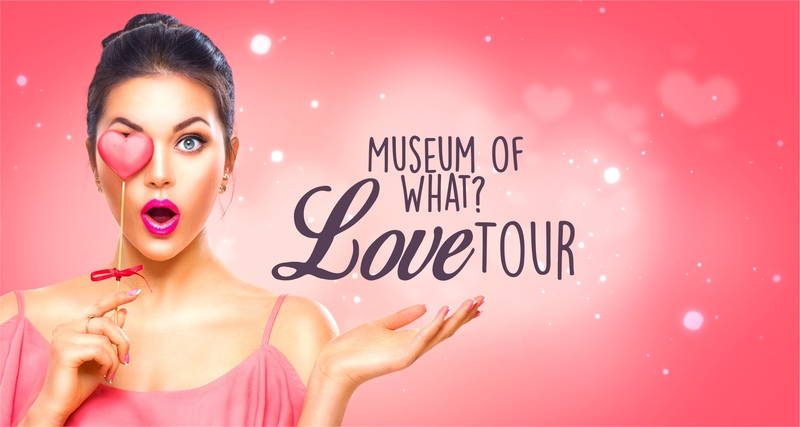 Captivating displays, thoughtful presentations, and a modern twist on entertainment - we invite you to experience the Museum of What LOVE TOUR. General admission $24 for adults; $15 for Children ages 4-12. Children 3 and younger free no ticket needed. Double check your date and time during checkout, it's only valid for that time and date. Tickets are printed with a name, one name must match one ID with your party. Coupons and codes have expiration dates and must be used before they expire. Coupons and codes may not be used for Special Events/Times. Lights go dim on select Saturday Nights after 8pm, please come early to experience the lights on and the low light! Are you ready to make sandcastles with your besties? Or jump into our 'love nest' with your sweetie? Or watch your kiddos swing in our secret garden? Or perhaps take our pink flamingos for a walk? Not real ones of course, LOL! Or maybe you want to chill in our hugs & kisses lounge? Or attach a special lock of love on our Paris fence? Or write something special on our gigantic wishing tree! Yup we've got lots to see & do at the Museum Of What LOVE TOUR, we cannot wait for you to visit! The Museum Of What LOVE TOUR opens February 14th in North County San Diego! Bring your sweetie, your kiddos, your family, your grandparents, your friends, your besties and be ready for a fabulous one-of-a-kind experience! Your experience at the Museum Of What LOVE TOUR will be fabulous, our exhibits are created to be interactive and entertaining for a wide range of ages and abilities. Please take your time and enjoy the Museum Of What LOVE TOUR! But Hurry! We don't want to break your heart, buy tickets now before they're gone! © 2019 ShowClix on behalf of Museum Of What. All sales are final. Tickets are non-refundable.